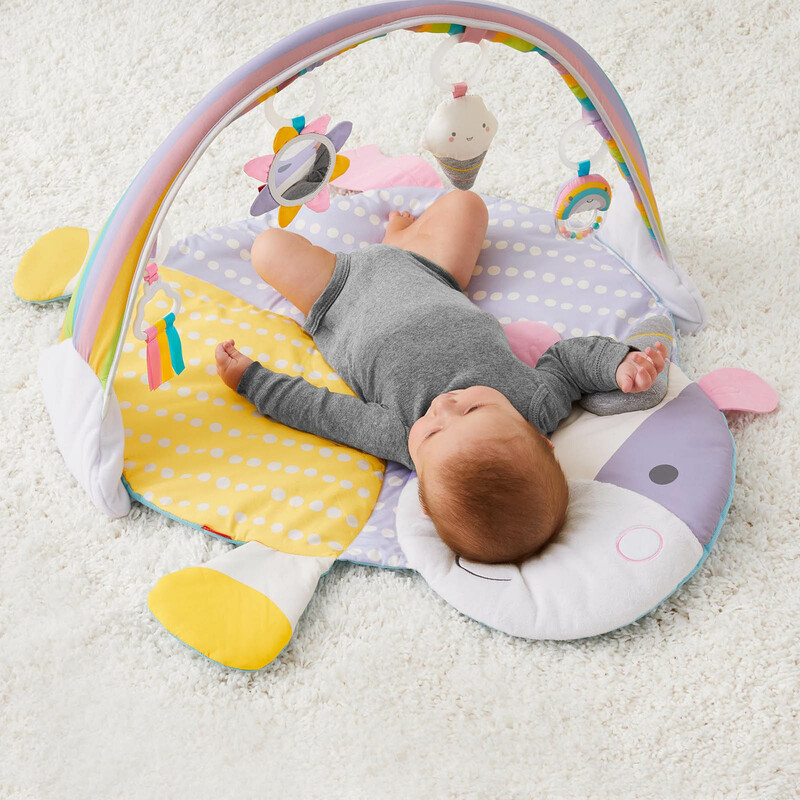 Skip Hop’s adorable Activity Gym provides the perfect surface for baby to play and explore whilst simultaneously developing their co-ordination skills. 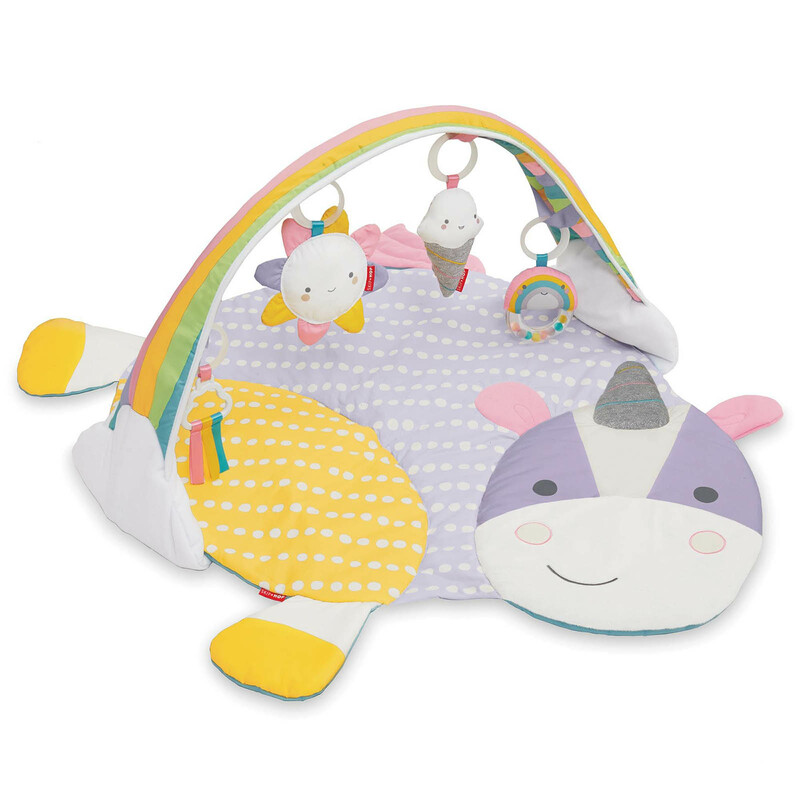 The bright and colourful mat is soft and comfortable whereas the padded arches contain loops enabling you to hang the friendly characters high, low or on the activity mat itself. 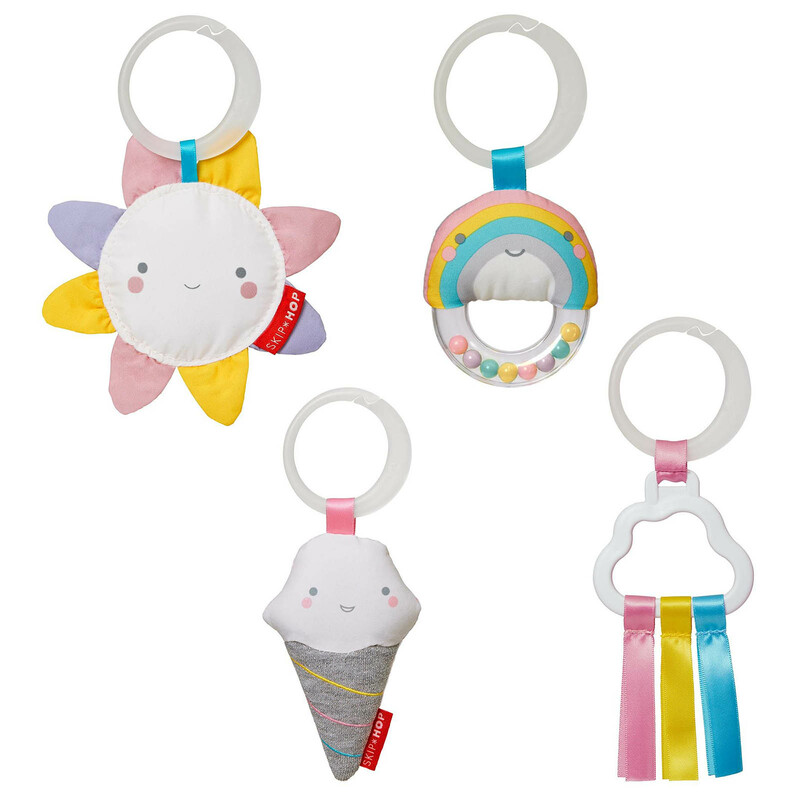 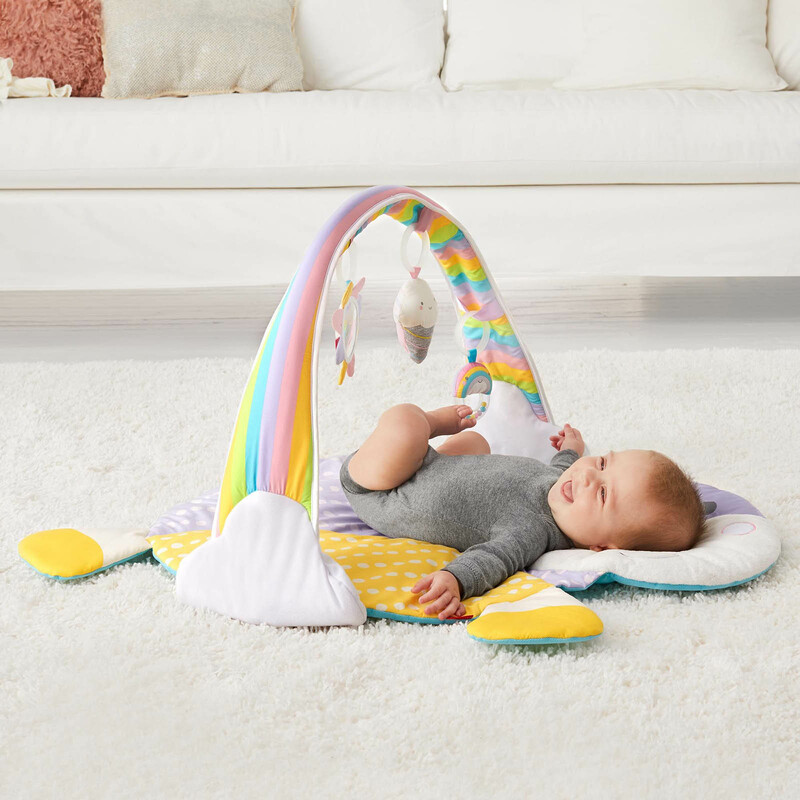 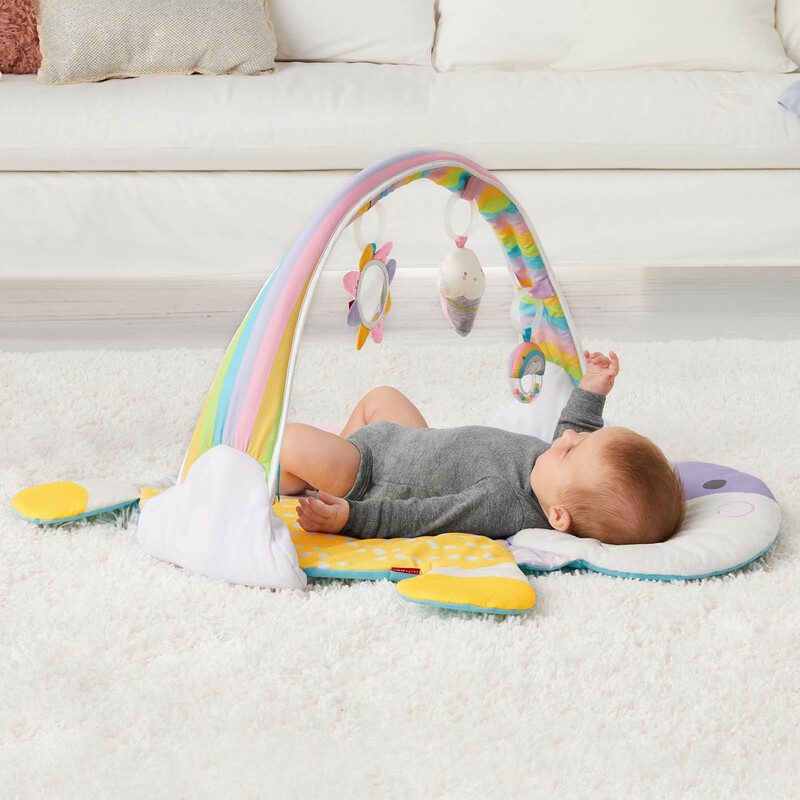 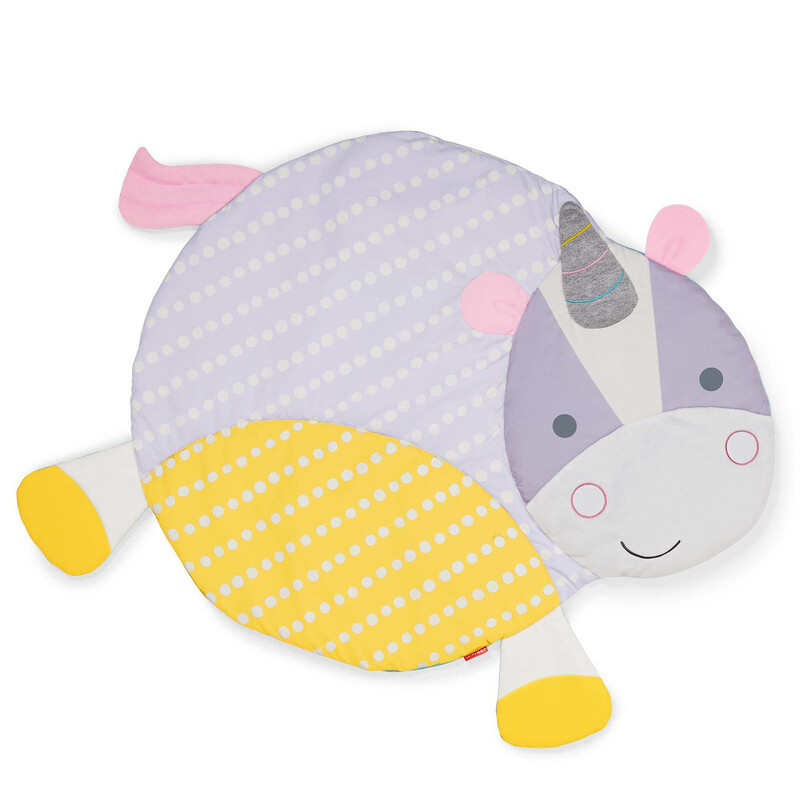 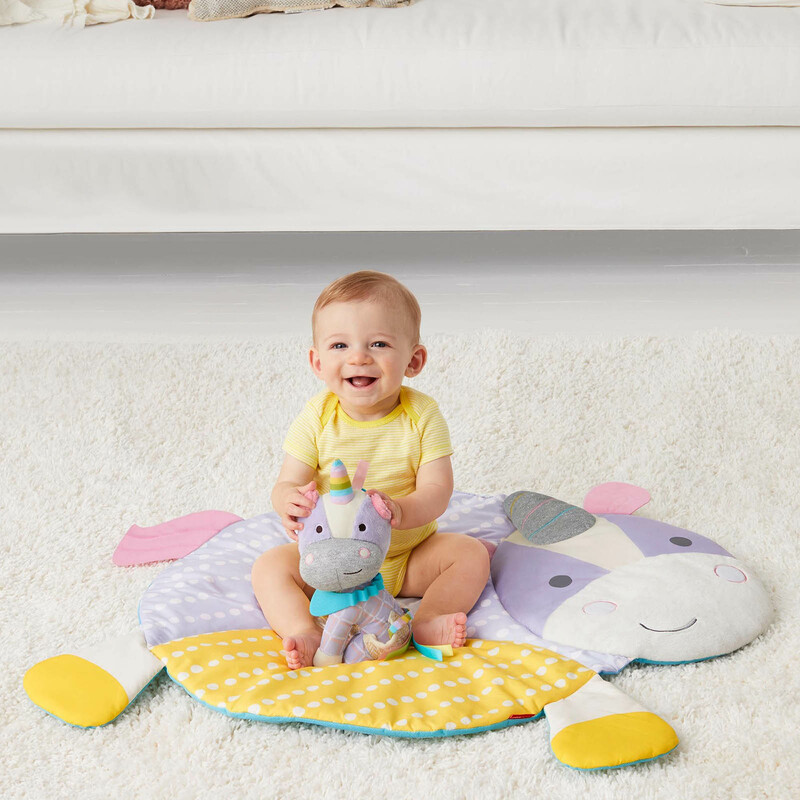 Tummy time is encouraged with the inclusion of a matching pillow and rewards baby with crinkles, baby-safe mirror, tactile fabrics and built-in sounds providing irresistible multi-sensory stimulation for every stage of their development.